An African-American essayist, author, and activist best known for his stories exploring race and social identity in the post-Civil War South, Charles W. Chesnutt's work was revived in the 1960's for its relevance during the Civil Rights Movement. A commemorative stamp of Chesnutt was issued in 2008. Born in 1858 in Cleveland, Ohio by parents who were free persons-of-color and whose grandfather was a slave owner, Chesnutt had a wealth of personal experience to write about the complexities of mixed-race social status in the South. His main source of income was a successful court reporting business. 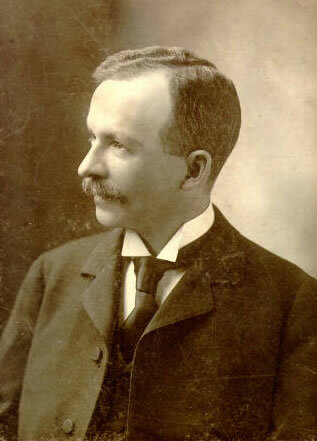 Active with the NAACP (National Association for the Advancement of Colored People), Chesnutt challenged discriminatory law and supported education. Chesnutt published a series of stories called Stories of the Color Line in 1899, which included A Matter of Principle and The Web of Circumstance. Visit American Literature's American History and the African American Library for other important historical documents and figures which helped shape America.